Alberta Energy Regulator is an independent, quasi-judicial agency of the Government of Alberta. AER regulates the safe, responsible, and efficient development of Alberta's energy resources: oil, natural gas, oil sands, coal, and pipelines. 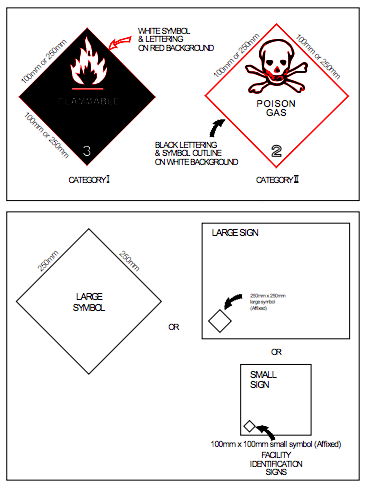 Guide to prominently display at the wellsite conspicuous signage identifying license & operator information together. Applicable to all well site, wells and facilities, LPG facilities and oil loading/unloading terminals as if they are facilities in accordance to OGCR 6.020. (1) During drilling operations, the licensee shall post and keep prominently displayed at the well site a duplicate of the licence for the well, together with a duplicate of any amendment thereof. (2) This section applies to all wells and facilities and to LPG facilities and oil loading and unloading terminals as if they were facilities. (3) The licensee of a well shall identify a well and the operator of a facility shall identify a facility by the use of a conspicuous sign erected at the primary entrance to the well or facility that indicates. (b) the legal description of the surface location of the well or facility. (4) Subsection (3) does not apply to a licensee of a well during drilling and initial completion operations. (5) A licensee or operator shall maintain a sign that is erected pursuant to subsection (3) in a manner that is satisfactory to the Board. (6) An operator who operates more than one facility at one location may erect one sign to identify all of the facilities at that location. (7) A licensee who drills more than one well from one surface location shall identify the bottom hole location of each well on a sign affixed to the wellhead. 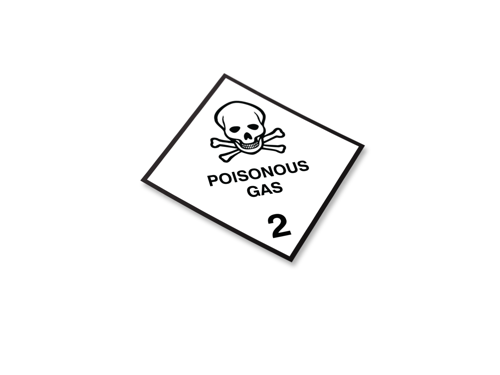 (b) Category II: Poison Gas; Class 2. (b) where the Board so directs; and a Category I warning symbol shall be used in all other cases. (10) Warning symbols must be of the size, design and color shown in Schedule 12. (11) Warning symbols shall be posted adjacent to all entrances to the developed area of wells and facilities or, for wells and facilities that have no access roads or developed areas, warning symbols shall be posted at the wellhead or facility. (12) A warning symbol may be posted on a sign that is erected at the primary entrance to a well or facility pursuant to subsection (3). (b) post warning symbols that are not in compliance with this section and Schedule 12. 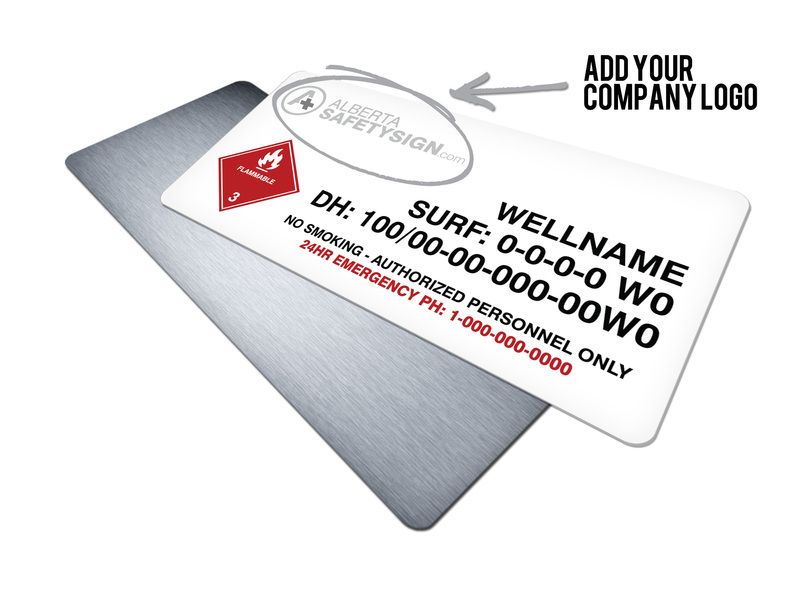 + Learn more about Alberta Pipeline Labeling & Utility Signage Standards. Degraded warning symbols due to sun fading, especially warning in red, which tend to fade faster then other colors. Degraded graphics & text messasges due to peeling, sun fading or weather errosion. Loose hardware bolts & mounting brackets which can become loose from wind vibrations. Firmly planted sign posts and slanting due to seasonal ground freezing & thawing combined with wind. Reviewing & updating regulations such as emergency contacts. 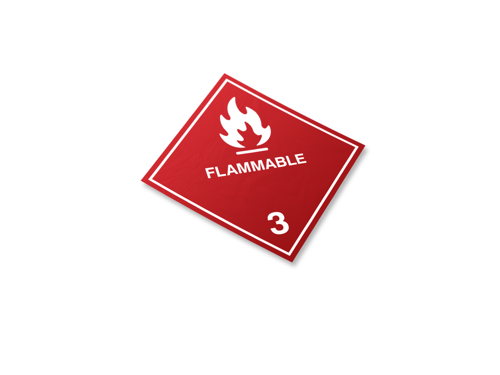 Safety signs & labels should be laminated with UV Protection & Tamper Proof overlay using Heat Assisted Sealing Methods to gain maximum longevity of safety messages. .080 Rust free aluminum or 0.080 coated white enamel aluminum. Should be designed to resist fading and mild chemicals. Vinyl grading should have a lifespan minimum of up to 7 years. 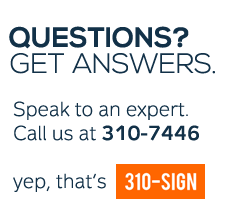 Determining the safe viewing distance of a signage & labeling depends upon many factors, including: Lighting, background, letter type and visual acuity. The complexity of the message, the reaction time necessary, and the angle the sign will be seen from. In many situations it is better to use multiple safety signs that are strategically positioned instead of one large one which contains multiple messages. 3.) To alert persons sooner than the minimum safe viewing distance, where hazards may extent visiual boundaries such as explosions or vapours. 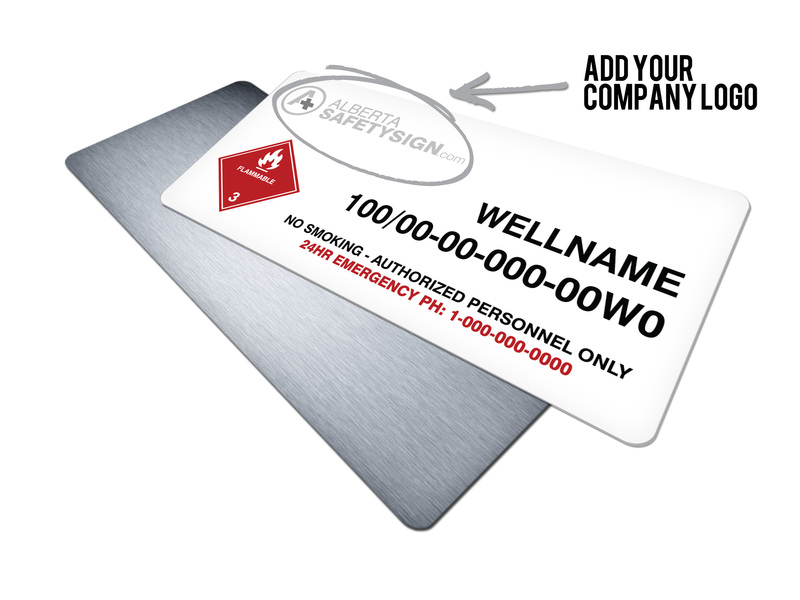 It is well recognized that in many instances, well designed and properly placed safety labels & signage can increase operator and maintenance personnel awareness of the inherent hazards involved when working. Sign needs to be readily visible to the target audience. Sign needs to alert the viewer to the hazard upon entering area, in anticipation to take appropriate action. Signs are required to be installed on or adjacent to the area where the hazard is present in accordance is ERCB regulations. Signs are recommended to be permanently installed using approiate gauge sign posts suited for the dimensions of the sign being installed.